For art class, we were asked to choose a photograph of a bird and create a John James Audubon inspired oil pastel bird drawing. As my bird I chose the hummingbird. I chose the hummingbird because to me it symbolizes peace, happiness, and grace. 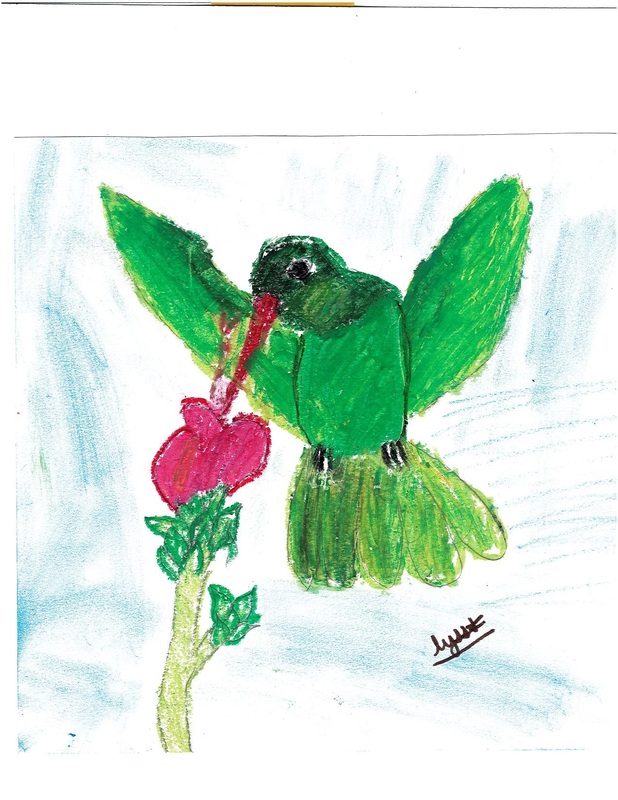 The hummingbird represents peace to me because it brings back memories when I sat on my Memere’s lap and looked out as the glistening lake. I can remember looking out at the lake and seeing the birds just barely touching the water with the tips of their wings. The hummingbird represents grace to me because I am a dancer. When I look at these birds gracefully flying through the air I remember dancing on stage to the song “Stand by Me.” The hummingbird represents happiness to me because of all the bright colors. The bright colors shown on these birds remind me of spring. All of the reasons above are why I chose a hummingbird for this project. 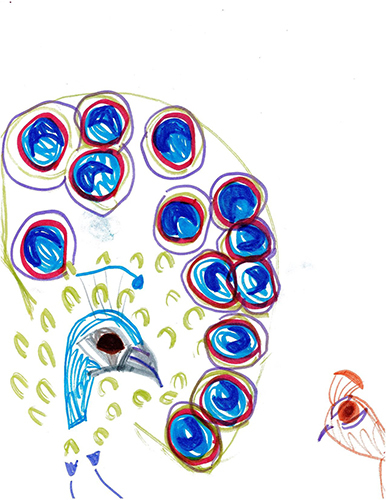 Evan has been fascinated with birds from a very young age and loves to draw birds of all types. He loves birds that display bright colors, such as the fan of the male peacock. He hopes to see a peacock up close one day! I drew the Secretary Bird because it is a really big bird with crazy feathers! I like how its beak is red and yellow it looks like a red heart. The bird looks super cool in flight. It has super power like eating a snake in one bite! 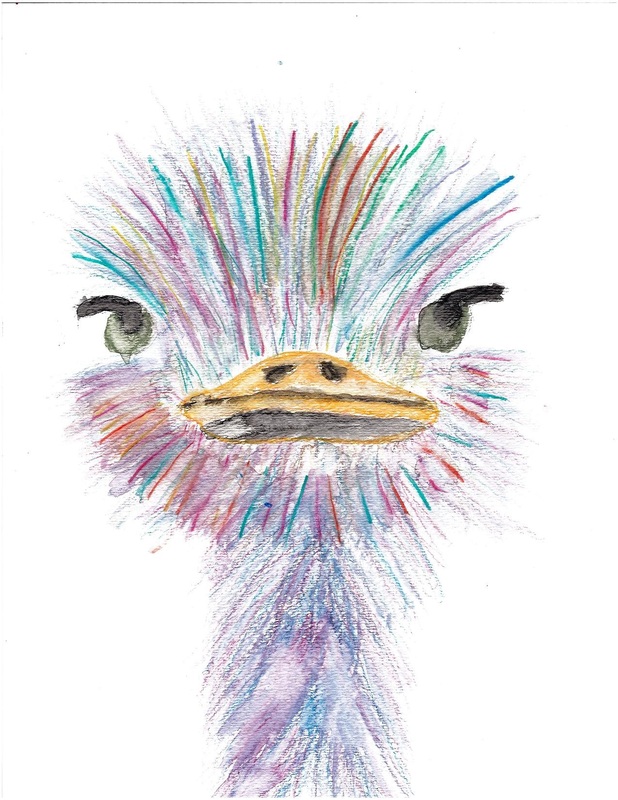 I made this picture cartoonish to capture the bird crazy features! The ostrich is a unique bird. It’s height, size, running speed, and attitude make it a strong competitor in the wild. I love the way an ostrich can look with such curiosity and character. The meaning behind my artwork is about my favorite color. 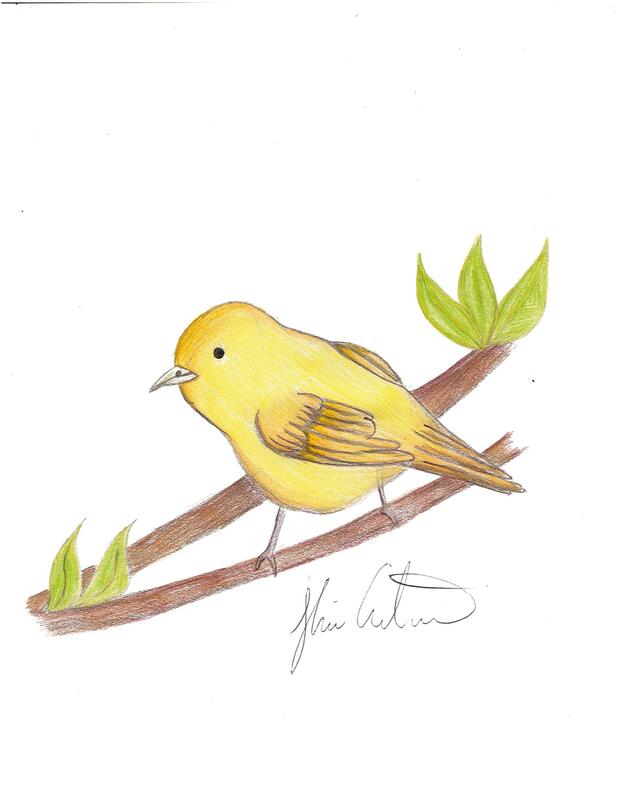 My favorite color is yellow and I would always draw yellow birds when I was younger. My bird is called the Yellow Warbler. I got the idea to draw this bird from an old book I found in my basement. My favorite bird is the Flamingo, but a flamingo isn’t yellow like my favorite color. I also looked at more pictures to get an idea of what I wanted to draw, then I drew it! After that I colored it and signed it. That is how and why I chose the bird I did. 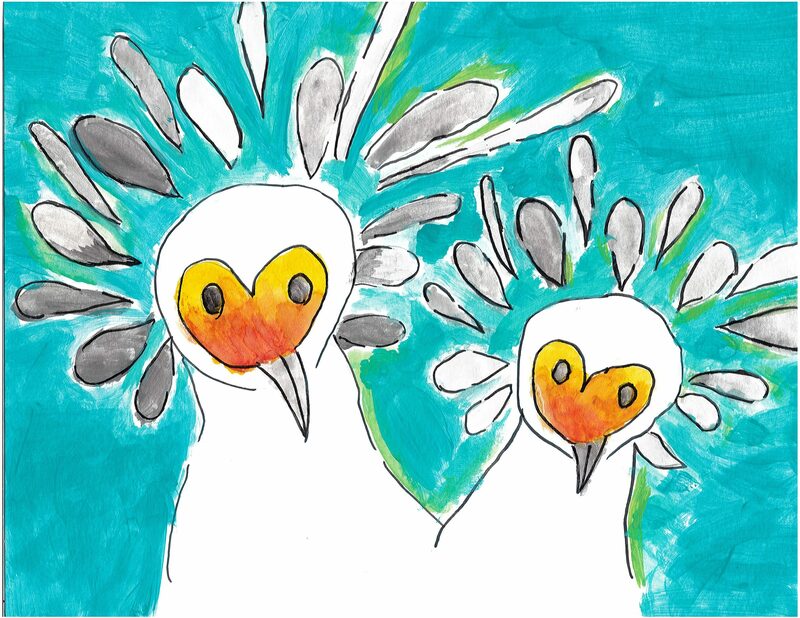 This entry was posted in News, Taking Flight: Juried Youth Art Exhibition and tagged Hummingbird, Taking Flight 2018, Yellow Warbler, Young Artists on November 16, 2018 by Sean K..